UPDATE!!! YAY! Congraulations to Laura Green who won my competition! Have a brill time tonight and take loads of pics!! Firstly I am soooooo excited to be announcing this competition! It's a quicky, sorry for the short notice - but I think you'll agree it's worth it!! Have you ever wanted to attend a 'bloggers event'? Now is your chance! The lovely people at Fashion World have invited me to a tea party to celebrate their new collection, but sadly I can't make it! I'd love to give you the chance to attend... so get entering! Now you and a friend, could be at the next Fashion World bloggers event happening THIS WEEK! Whether you're a blogger or not, enter for your chance to win!! 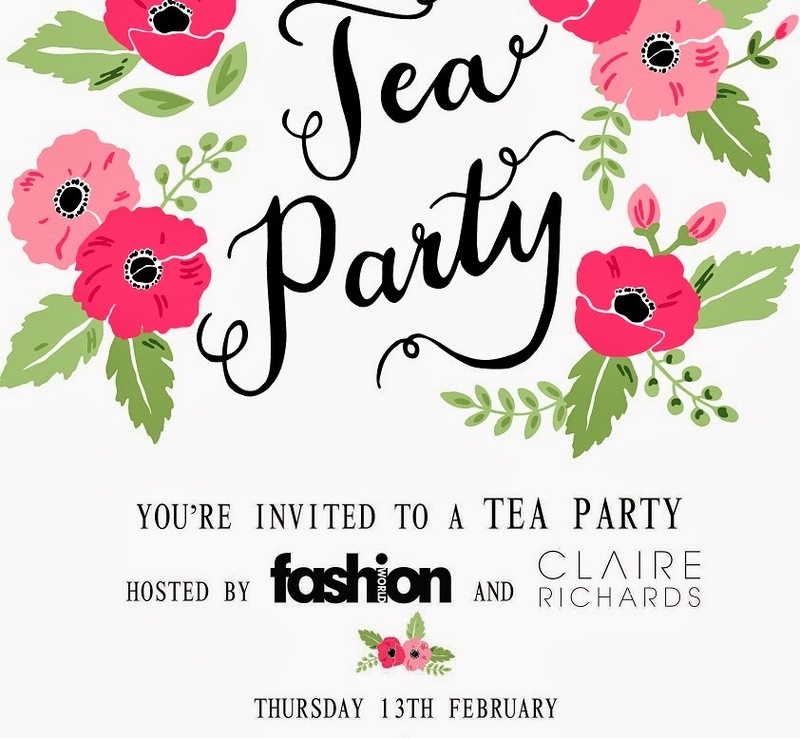 You're invited to a tea party hosted by Fashion World and Claire Richards, with manicures, Claire’s SS14 collection and the fabulous Hilary Alexander in conversation with Claire. It takes part between 4pm and 7pm on Thursday 13th, it's a 'drop-in session' so pop in whenever you are free during that time... Exciting eh? If you win, you'll get the chance to attend the tea party on Thursday evening. Winners are chosen on Wednesday night(after midnight) and I'll email you the event address. The party is being held in Central London. This competition is just for entrance to the event, you'll have to sort out your own accommodation and travel if needed. Afterwards I'll feature you on my blog - so take lots of photos of the event, I am really nosey! It's easy to enter, so what are you waiting for? Don't forget you can find Fashion World online!